Post originally featured on OneHope‘s Undeterred blog, August 2014. Getting kids to engage in the Bible can be pretty daunting. We’re competing with Minecraft, Disney XD, and Junie B. Jones; so what can we do to get kids excited about a book that’s thousands of years old? Choose a Bible that corresponds with their current developmental stage. For example, because children (ages 3-5) can easily grasp the mechanism of story—especially ones paired with illustrations—start with story-based Bibles. Seeing a story portrayed in a picture promotes understanding and makes Scripture approachable. Making it easy for them connect to the stories helps them enjoy reading God’s Word and want to return again and again! Once a child is able to read, you can celebrate that milestone by letting them pick out their first “real” Bible. Many parents or children’s ministries want to gift or surprise a child with their first Bible, but kids at this age love to take ownership of their world—their clothes, how they decorate their room, what soccer ball they kick around, anything really. Let them take ownership of their first Bible. If a child picks out their Bible, there’s a stronger chance they’ll want to crack it open and read what’s inside. Independent readers are capable of and often love learning Bible navigation skills. Kids are digital natives. They don’t know life without hand-held devices and the world is literally at their fingertips. I often hear from churches who talk about banning mobile devices from their children’s ministry environments. And while their intentions are good, the truth is kids don’t simply use technology to play games. For many kids, that’s how they access the Bible. Kids can have a difficult time connecting ancient stories to their 21st century world. 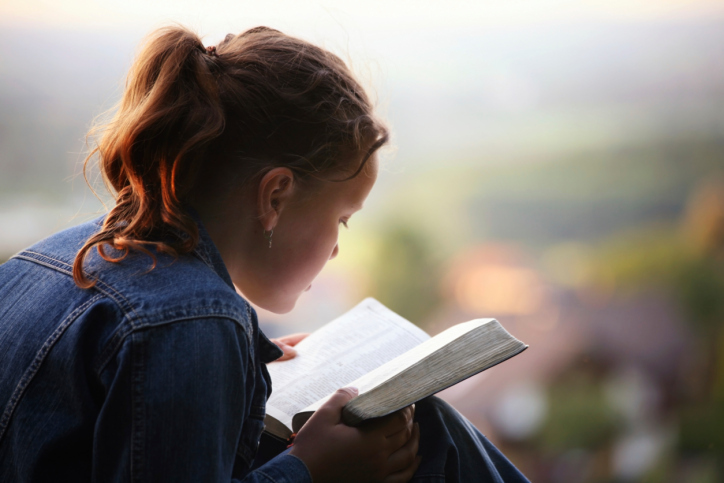 Devotionals can be great catalysts to get kids into God’s Word while giving them a direct connection to their world. Start with something manageable so they don’t feel overwhelmed. Look for devotionals that are interactive and don’t simply ask kids to answer questions—it doesn’t have to feel like school or homework. This seems obvious, but so often we as parents have our own “quiet time” in Scripture when our kids aren’t around. Make public or corporate Scripture reading part of your family rhythm. Let your kids catch you reading the Bible. Talk about how God’s Word has impacted your life. Your kids are watching—live your life in a way that shows them how the Bible can change someone. Think about it: How are you making the Bible come alive for your kids? Share some ways in the comments!